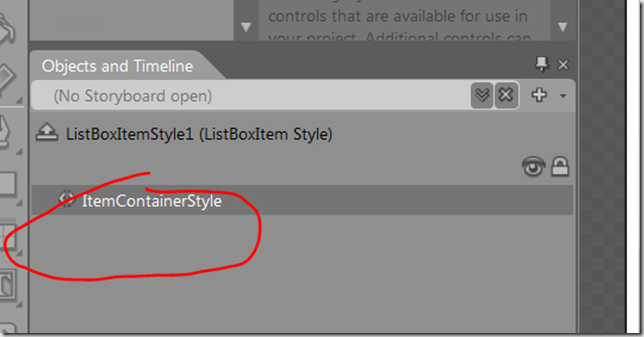 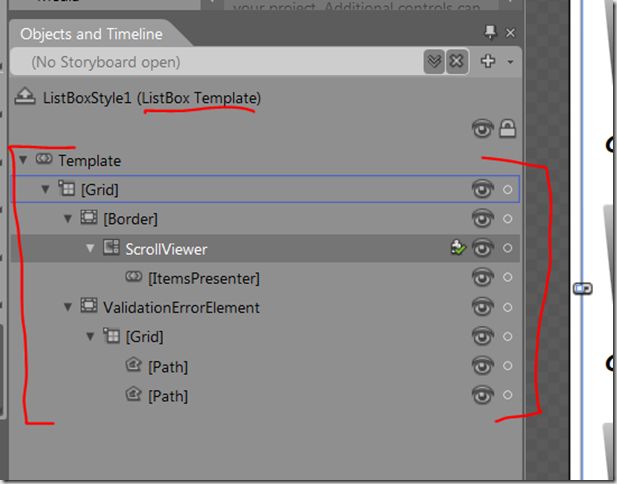 The previous post took a simple Checkbox and played with its template a little but we see quite a few more templates if we wander into a control like a ListBox. 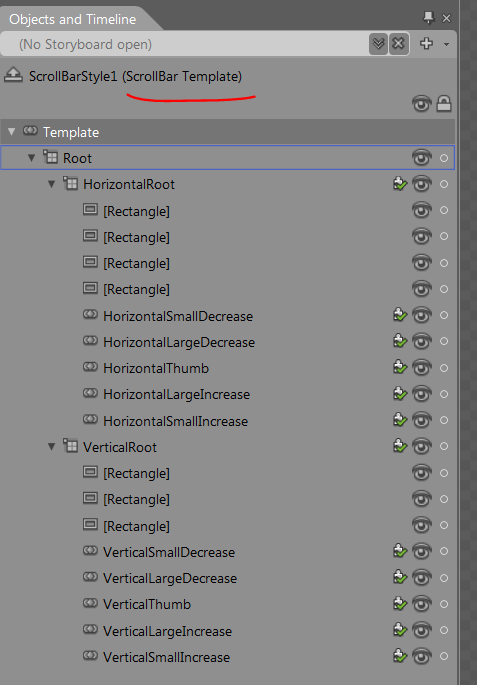 then there’s a bunch of templates to think about here. One of those templates is the one that’s being used for the panel that makes up the ListBox. 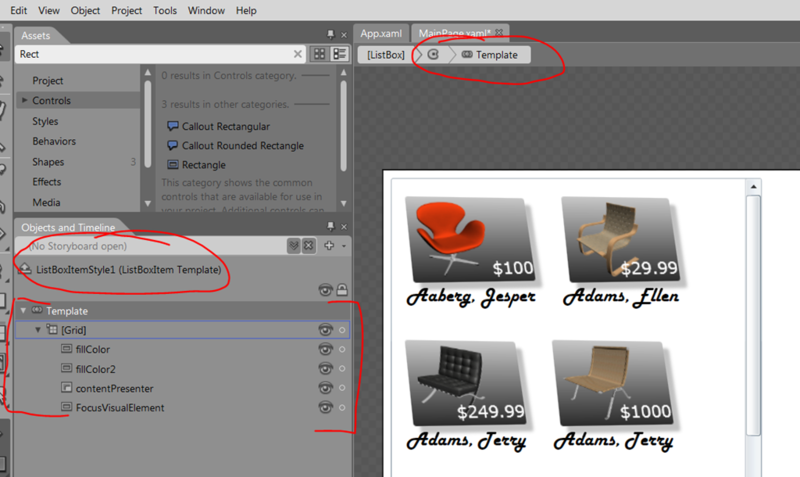 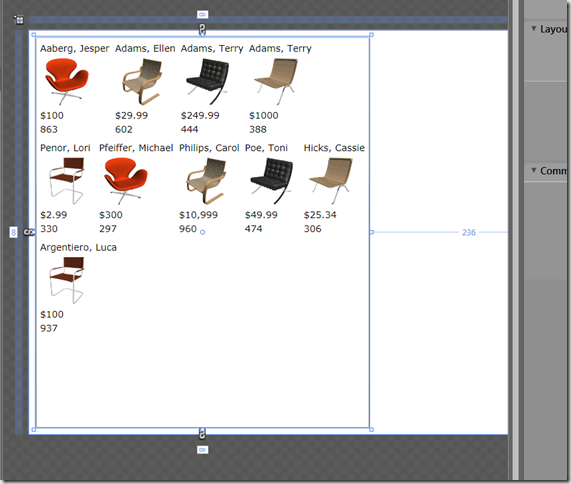 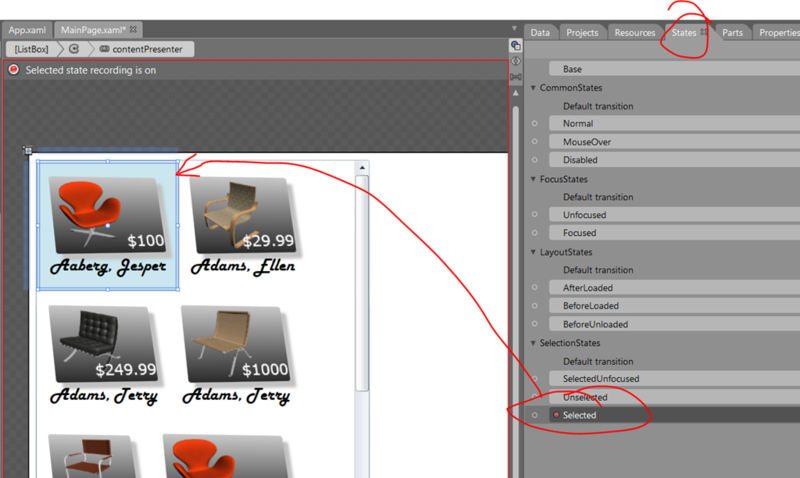 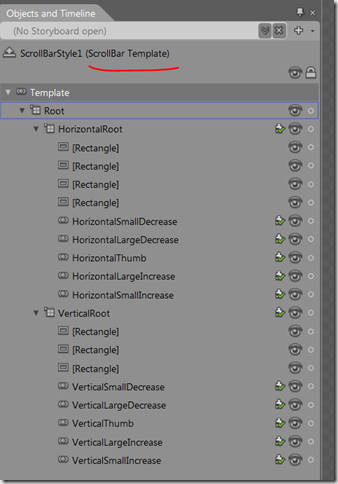 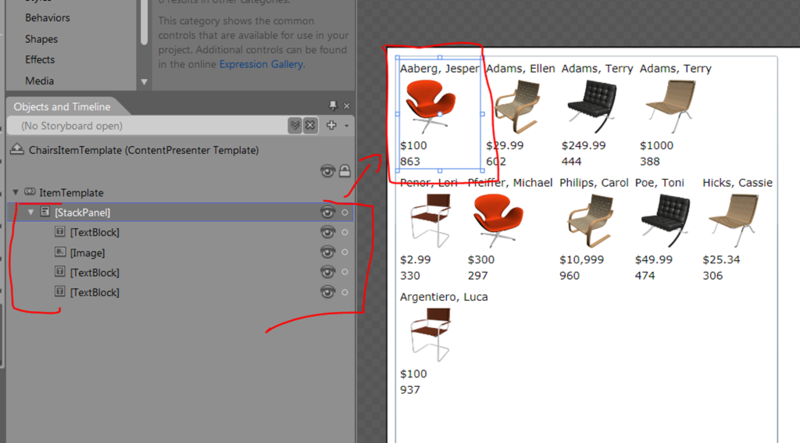 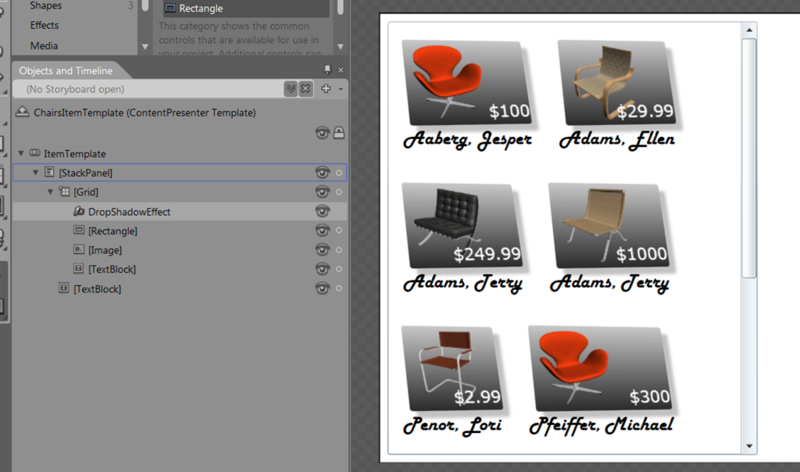 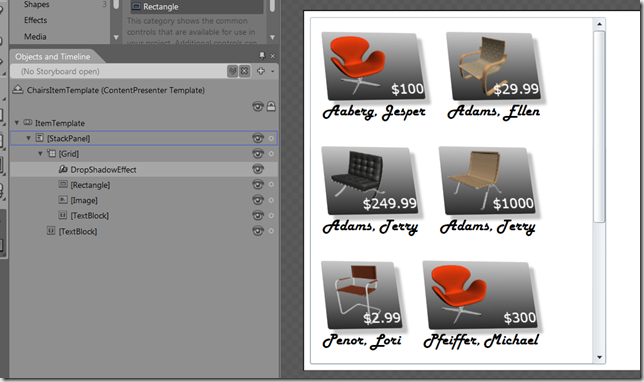 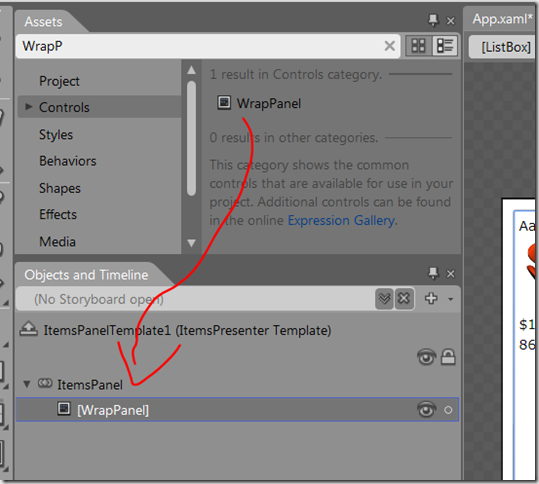 and that’s the role of the items panel template. Another template that’s in play is the one that’s displaying the data on a per-item basis and Blend made one of those when I dragged my sample data to the ListBox so it’s given me a little bit of a head-start here. 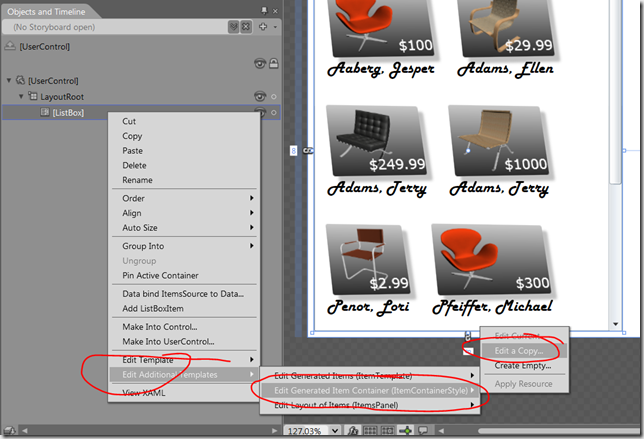 and so that’s the ItemTemplate and the editing experience is pretty rich. 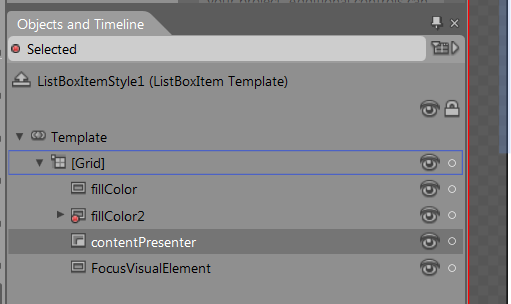 so that’s another template that comes into play when working with a ListBox and I’ve mostly ended up editing it when I want to change that blue rectangle. 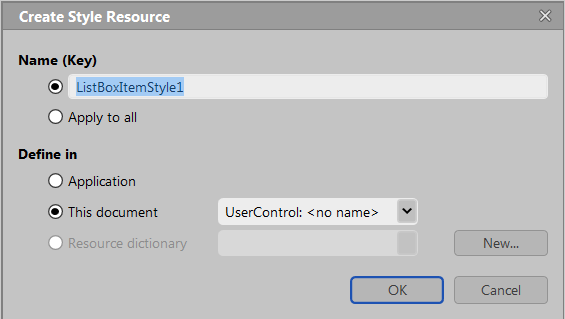 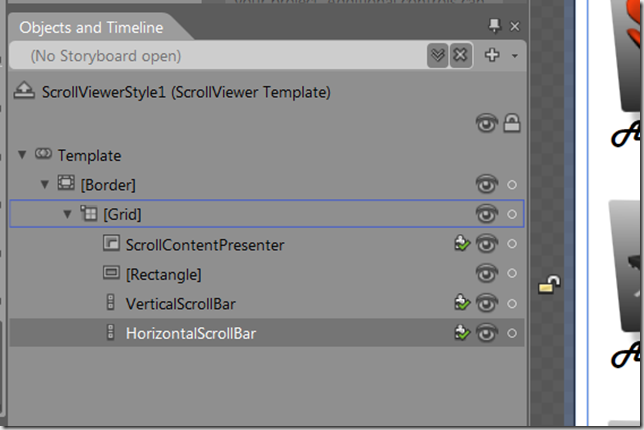 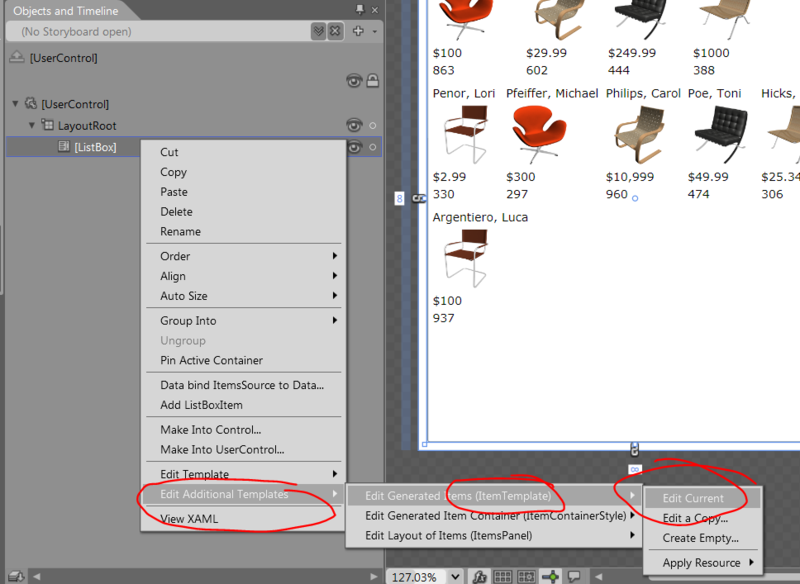 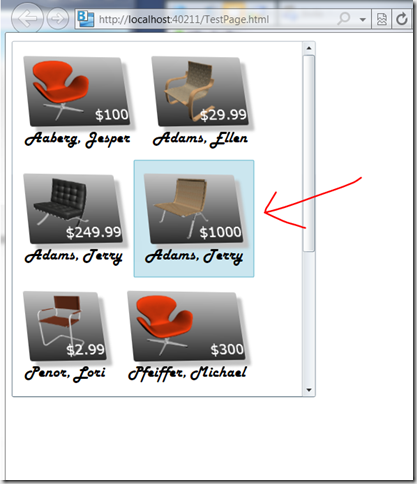 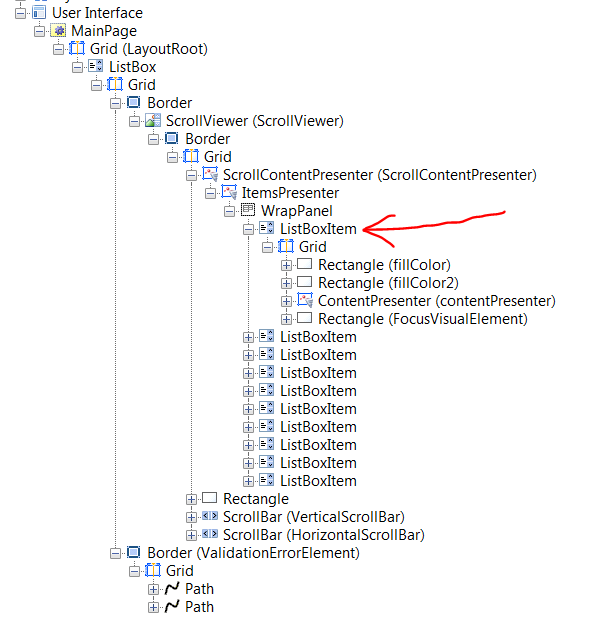 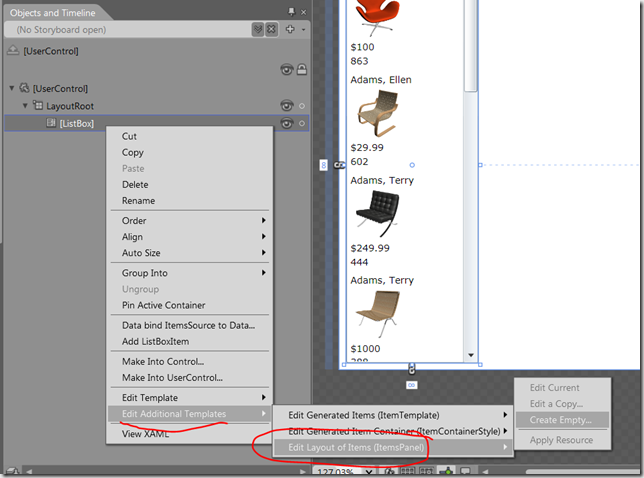 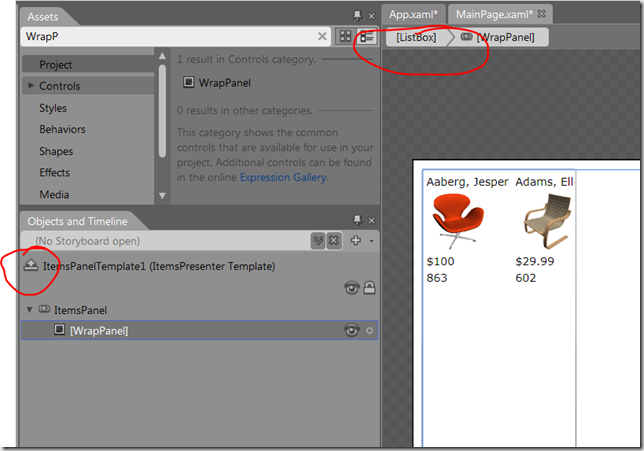 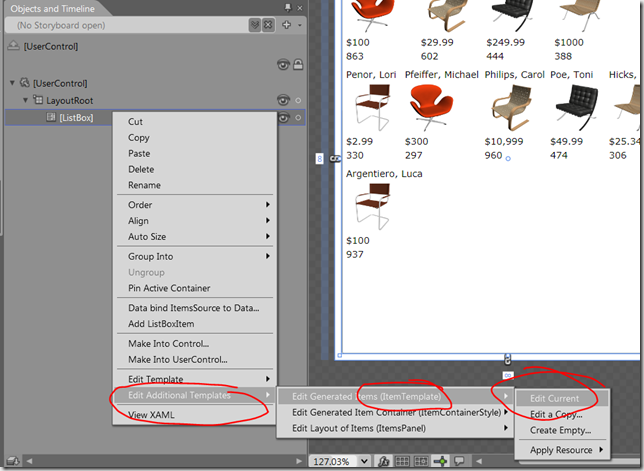 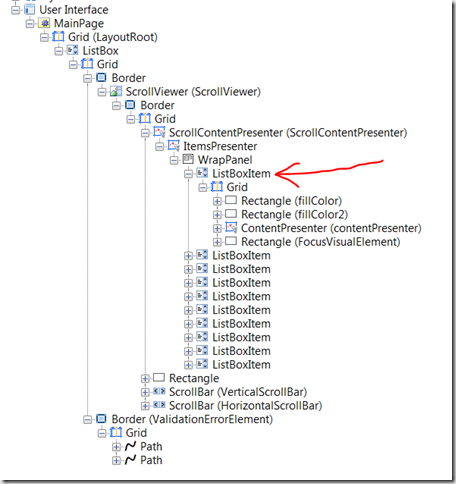 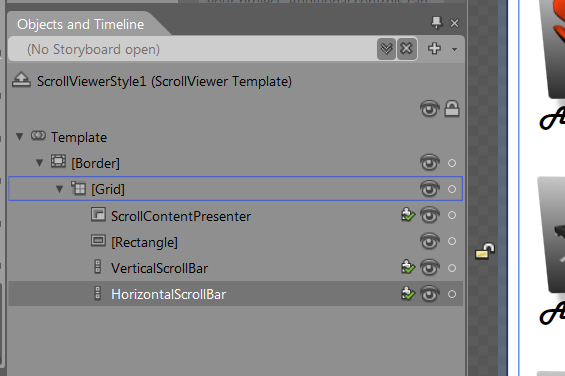 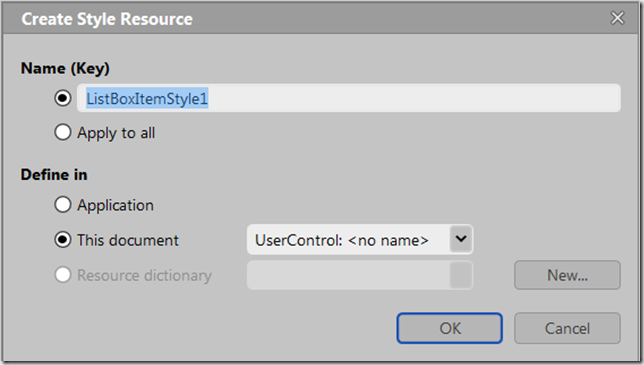 Looking at those ScrollBar templates, there’s a little plus-mark that indicates that a particular element forms a recognised part of the ScrollBar and a feature of Silverlight’s control model is this idea that a templated control may need to know which element in the template is meant to play which role or part.